Scrub each clam clean under cold running water to remove remaining, softened mud from shell and return to soak in fresh cold water. 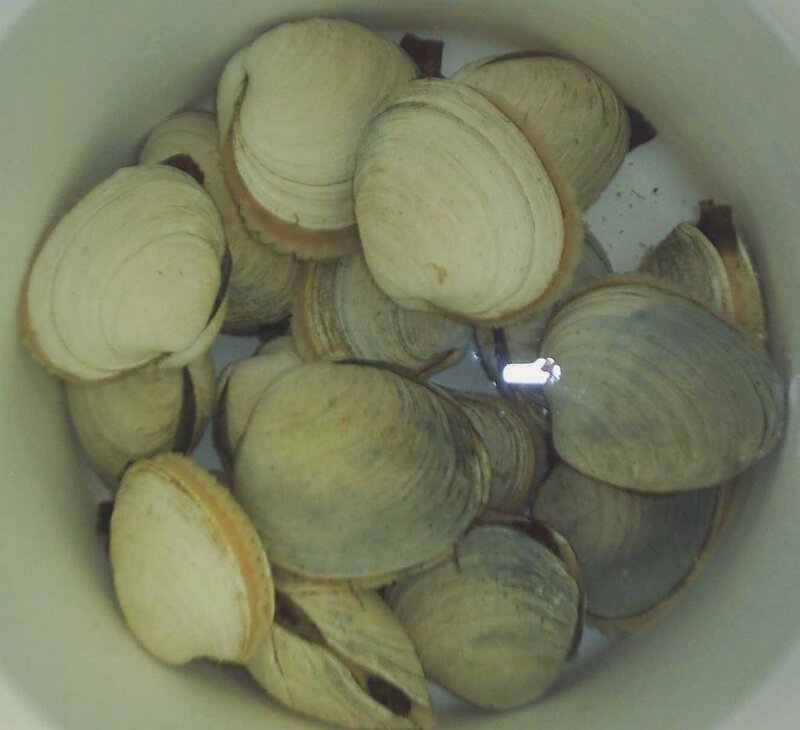 If necessary, repeat the scrubbing process a couple of times until the clams are completely clean and soaking water is free of sand. Drain and chill until ready to cook. 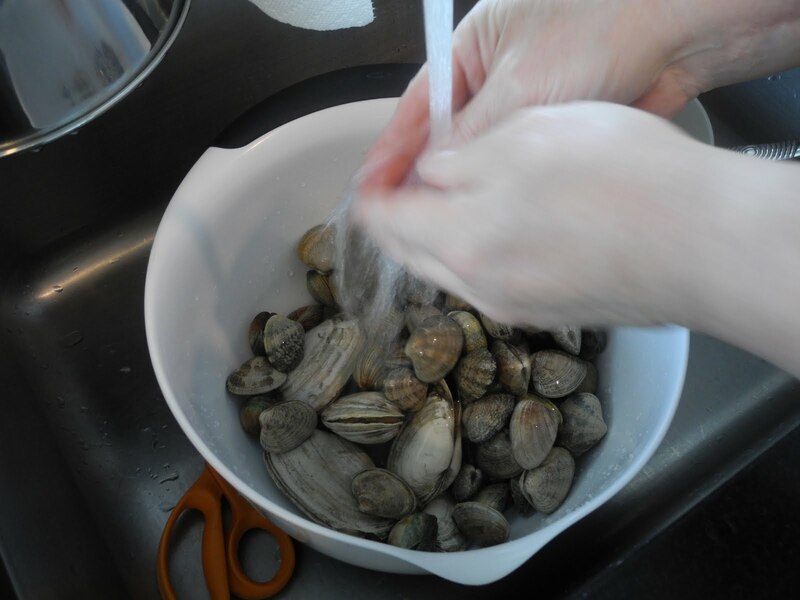 There are various articles on the Internet on how to de-grit clams and they will probably all work. In the US, popular methods include the use of cornmeal to get the sand out of clams.